Discussion in 'Mac App Store Games' started by henryfakesmile, Mar 17, 2015.
anyone fancy setting up a match?? or visit https://www.wire.com/c/rP-nXK-VXweqygU999euFHS_qppsYHuyYmdF4uph2Nc to connect with me. 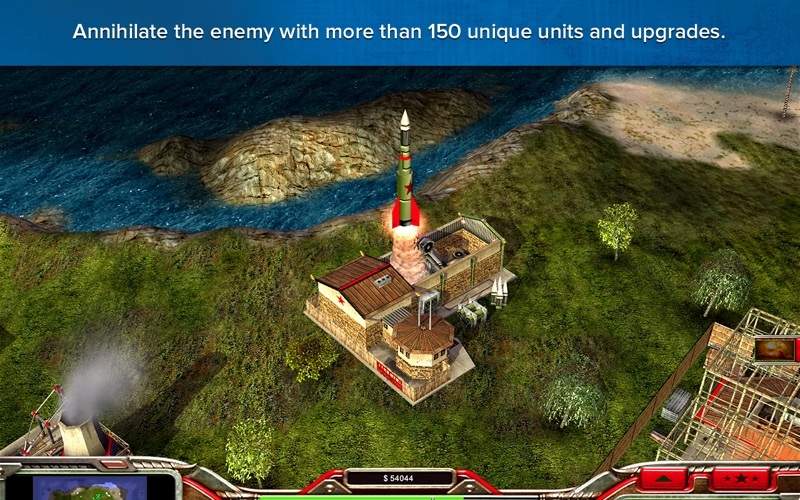 IMPORTANT: Command & Conquer™: Generals Deluxe is a single player only experience. Game Center invites are no longer received on any game which supports Game Center which effectively means players can no longer join multiplayer games. We have bugged this issue with Apple and will update our support.aspyr.com site with updates. 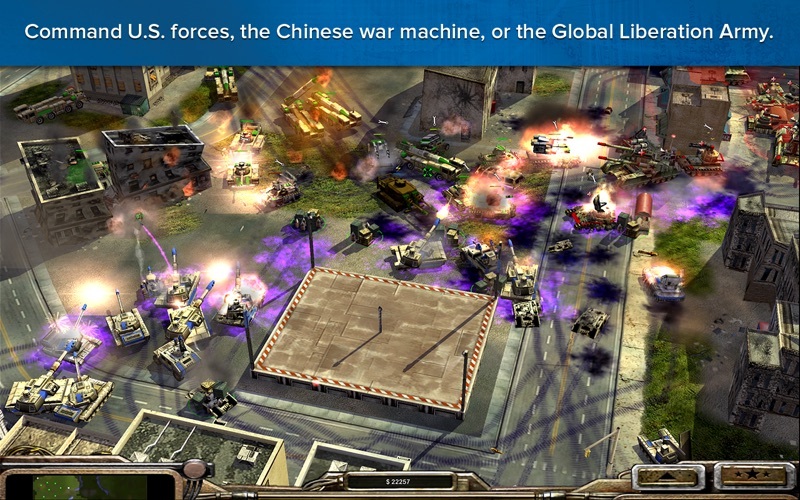 The genre defining Command & Conquer™: Generals Deluxe Edition returns to the Mac, exclusively on the Mac App Store! In a time of modern war, recent military aggressions around the globe have many nations worried. Between the United States, China, and the Global Liberation Army, tensions run high. Their leaders profess no interest in escalating the situation, but words ring hollow when satellite photos tell a different story. 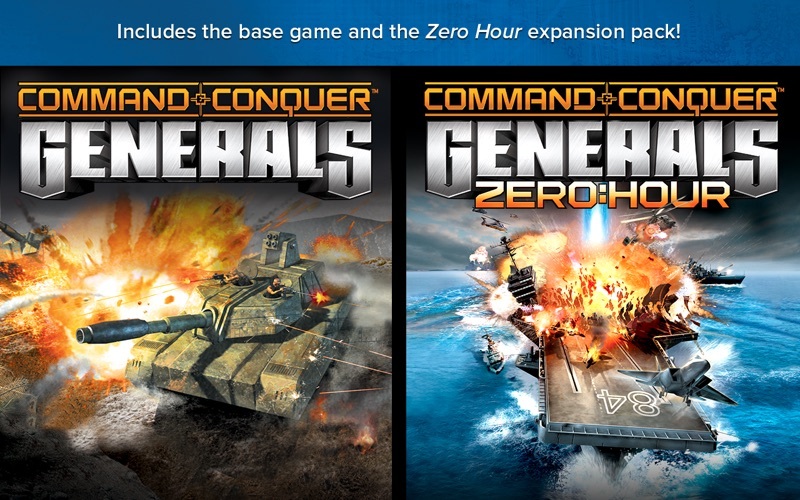 This award winning Deluxe version includes both C&C Generals and the stand-alone expansion Zero Hour and has been optimized for modern hardware, including Retina and 5K resolutions! 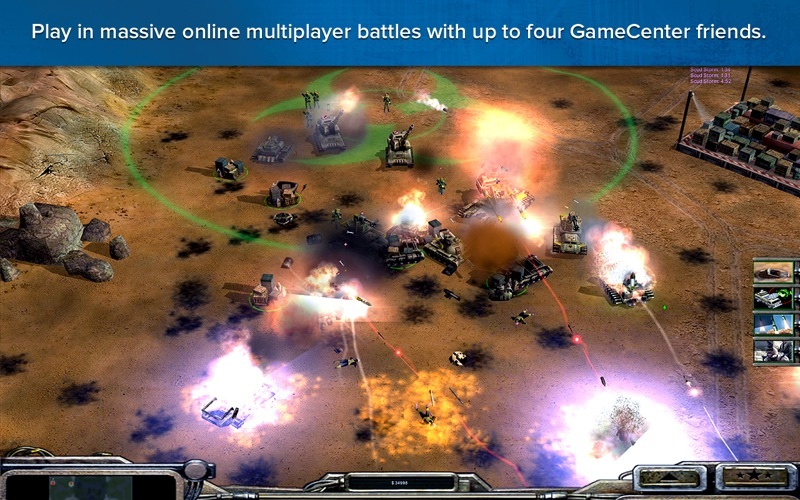 • IMPORTANT NOTE: This updated Mac App Store version of C&C is not multiplayer compatible with the original Mac release, nor the original PC release. • • Additional information about Command & Conquer™: Generals Deluxe Edition • If you encounter problems playing the game, please visit support.aspyr.com. Our Customer Support team is happy and eager to help. Your feedback helps us make better games. 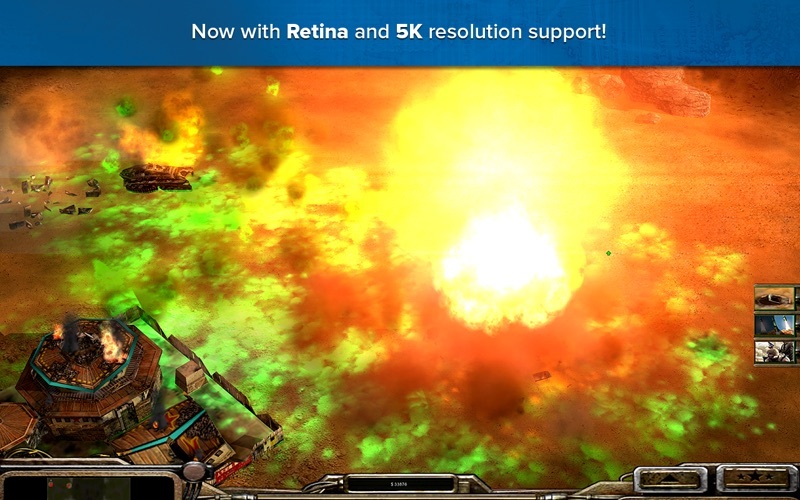 In order to run the game with satisfactory performance, your Mac must meet these minimum system requirements: 2.2 GHz CPU Speed | 4 GB RAM | 5 GB free disk space | (ATI): Radeon HD 3870 | (NVidia): GeForce 330M | (Intel): HD 3000 | 256 MB VRam NOTICE: The following video chipsets are unsupported for Command & Conquer™: Generals Deluxe Edition: •	ATI Radeon X1000 series, HD 2000 series •	NVIDIA GeForce 7000 Series, 8000 series, 9000 series, 320M, GT 100 series •	Intel GMA series NOTICE: This game is not supported on volumes formatted as Mac OS Extended (CaseSensitive) Legal © 2017 Published and distributed by Aspyr Media, Inc. “Aspyr” and the Aspyr “star” logo are federally registered trademarks of Aspyr Media, Inc. Mac and the Mac logo are trademarks of Apple Computer, Inc., registered in the U.S. and other countries. The ratings icon is a trademark of the Entertainment Software Association. All other marks and trademarks are the property of their respective owners. All rights reserved.